When people see your home, odds are the first detail they’ll see is the garage. If the door is broken, or it doesn’t open or close smoothly, that’s a problem from an aesthetic standpoint. The problem is even worse from a safety standpoint, since a malfunctioning door can be dangerous. Perhaps you’re just ready for a change. You’re ready to get rid of the old overhead door and get something modern, stylish, and new, but you don’t want to break the bank doing it. 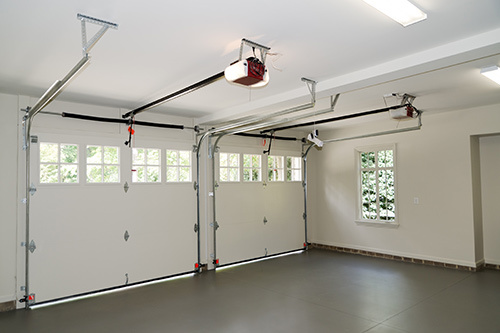 At Grand Enterprises, we’re New Jersey’s premier source for residential garage door repair and installation. Our technicians carry a wide variety of styles and trusted name brands; our new warehouse receives deliveries of new doors and sections, so we’ve always got the most popular models in stock. For repairs: We’ll come to you, often on the same day you call. Our team of highly trained and equipped technicians come prepared with a wide assortment of parts, and our warehouse has an even wider assortment. If we don’t have what you need that day, we can get it – fast. Plus, we have several varieties of garage door springs, and it’s a cinch for us to cut them for specific sizes. Whether we’re performing a garage door installation or repair, you’ll find that our rates are fair and reasonable. We are also happy to offer free estimates, and we’ll explain all of the details and charges ahead of time, so you never have to worry about nasty surprises on your bill.